Besides going to Thailand for food and shopping, look out for their beauty products in your next trip there. 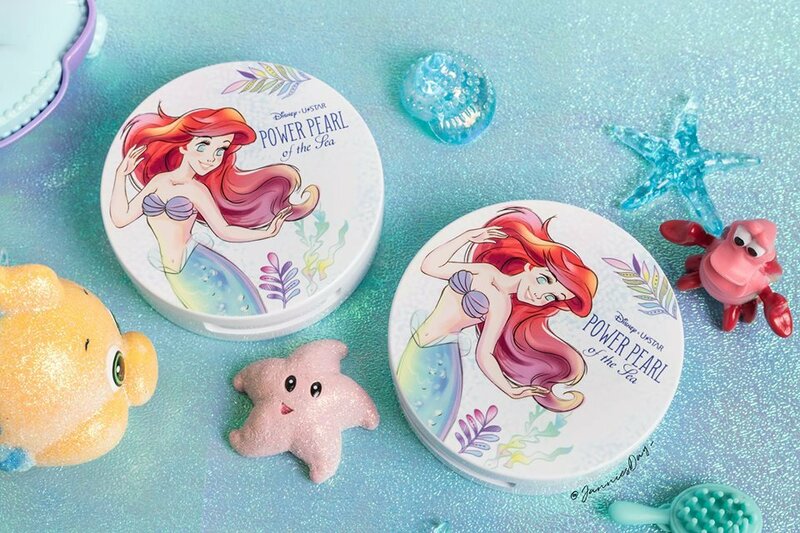 One brand you ladies must not miss is UStar Cosmetics, a popular Thai beauty brand that has collaborated with Disney on various limited edition makeup! 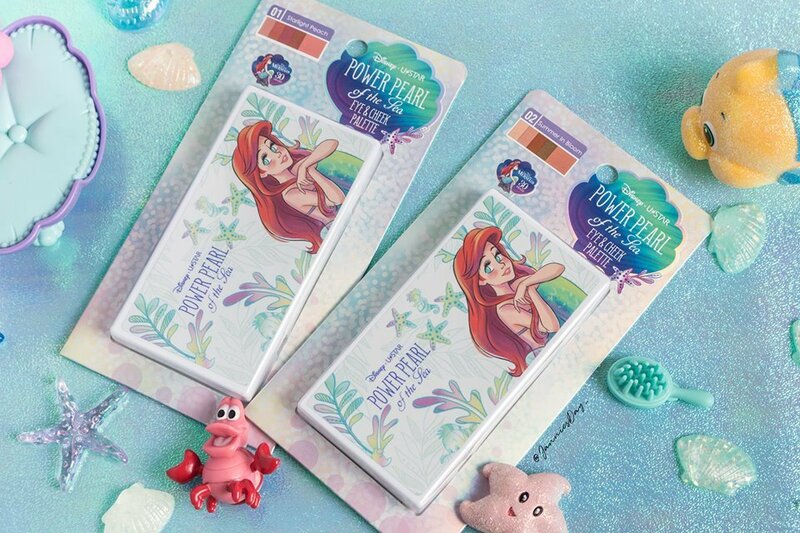 This time, they are back with a Little Mermaid-themed collection titled The Little Mermaid: Power Pearl of the Sea. 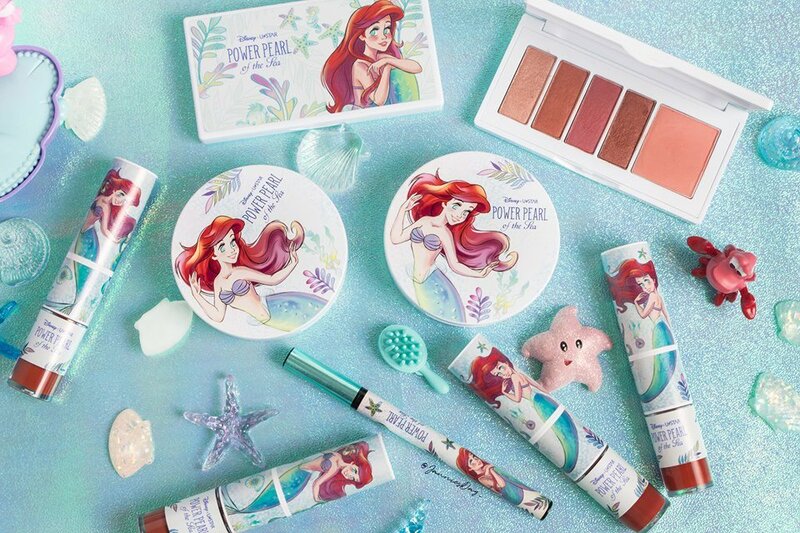 If you are a fan of Ariel, the Little Mermaid, you are in for a treat because this collection is made just for you. Made up of two eyeshadow palette, compact powder, lipstick and eyeliner, peep the collection here! 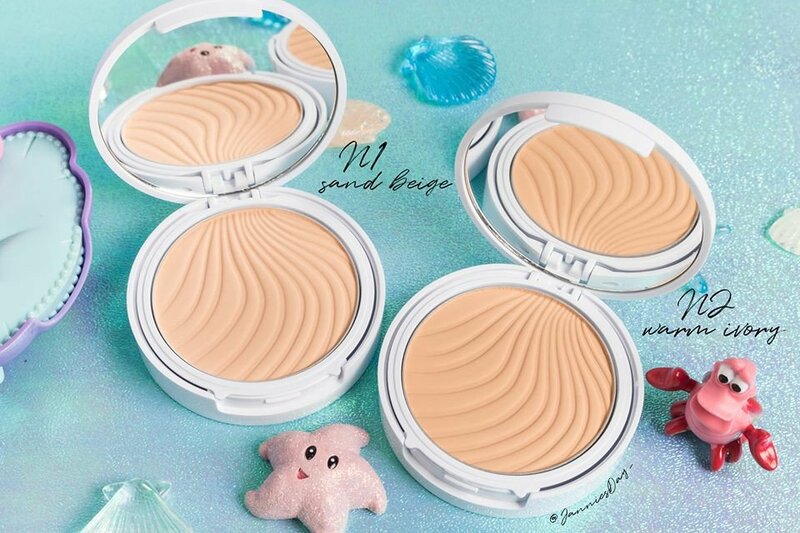 The seashell-themed compact powders are available in two shades, Sand Beige and Warm Ivory. 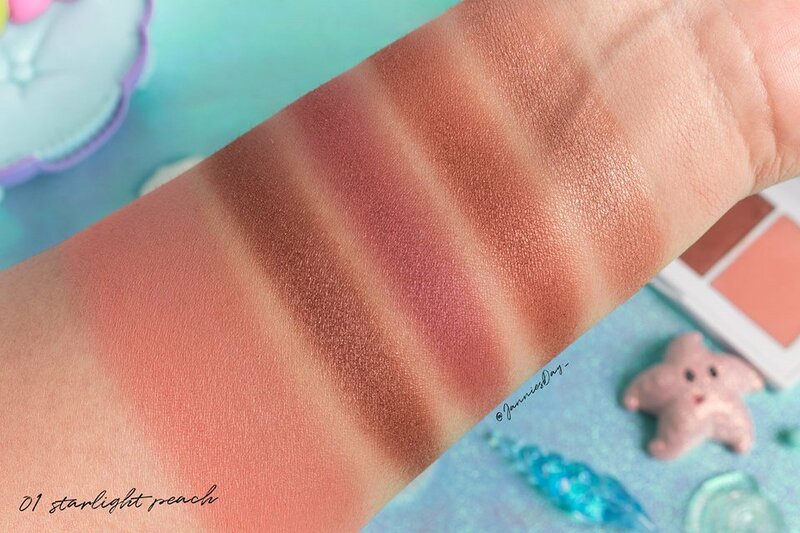 As we can see, both shades are on the lighter side so it might not be suitable (sadly) for ladies with a tanned or darker skin tone. 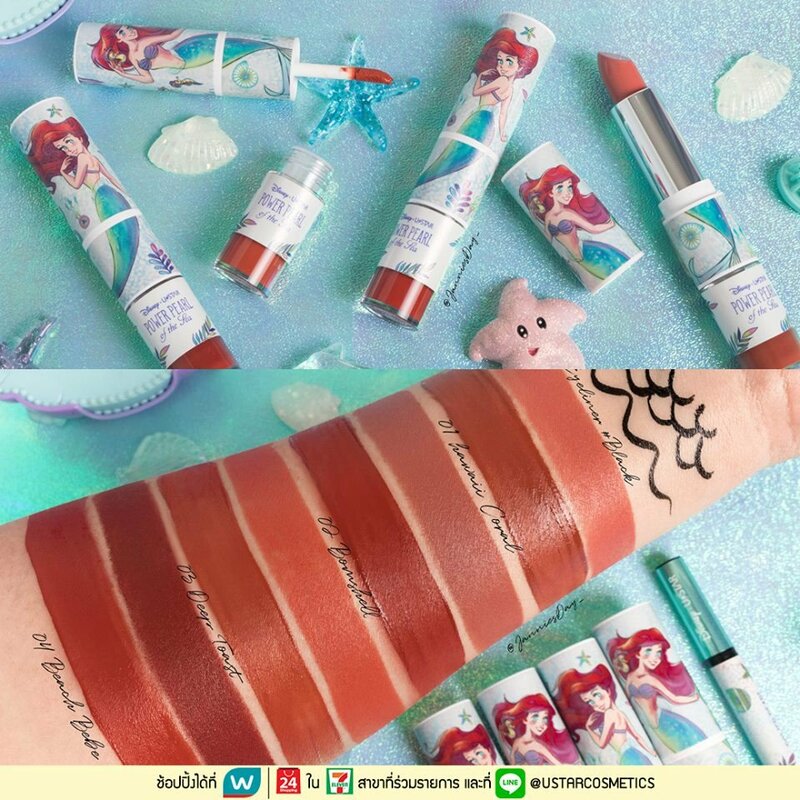 Two types of lippies are available in this cute collection and they are inspired by Ariel's red hair. 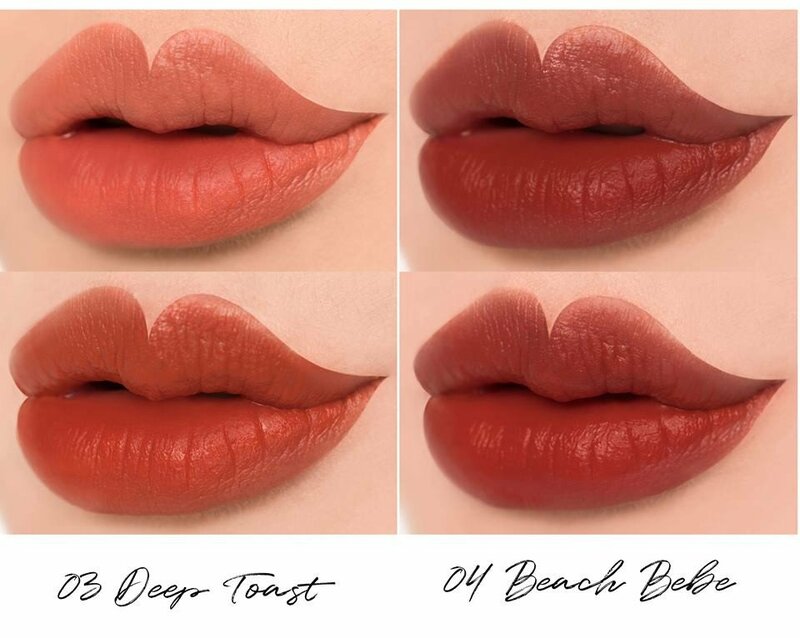 Ladies who love rocking a bold red would love every shade! 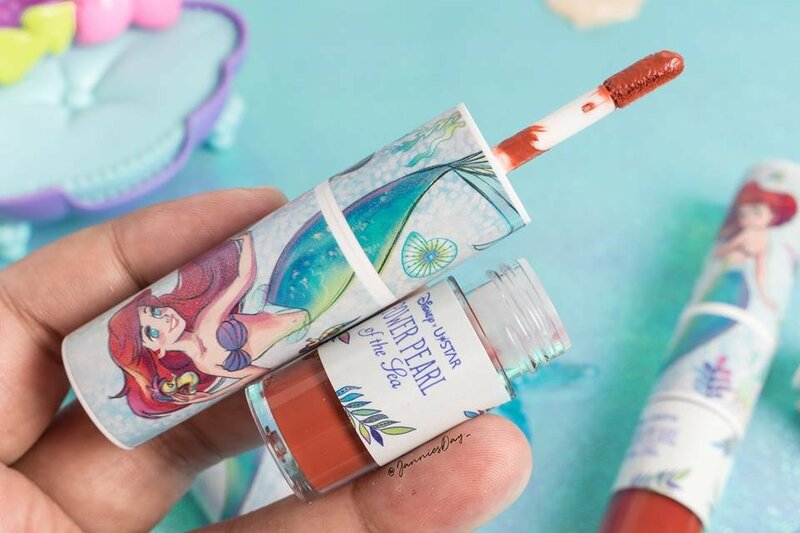 The gorgeous lipstick packagings are filled with vivid drawings of Ariel and comes with a regular-shaped lip applicator. Here's how they look when swatched. 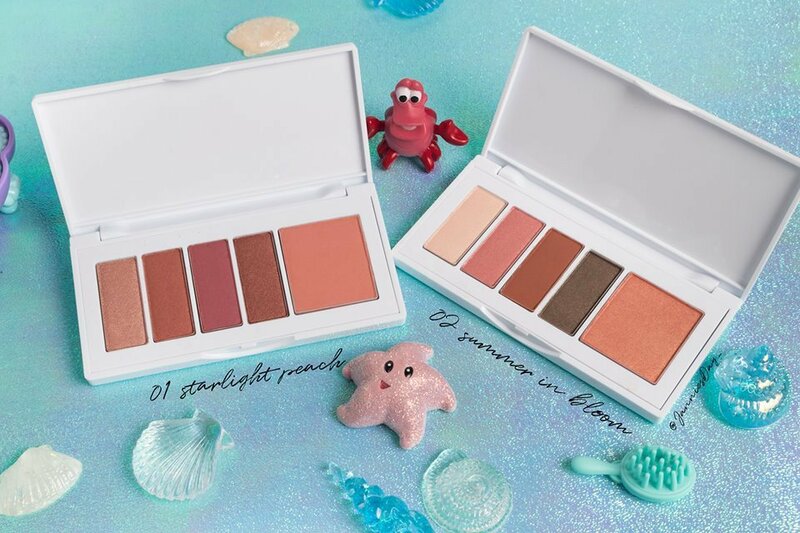 This duo function palette comes in two shades: Starlight Peach and Summer in Bloom. 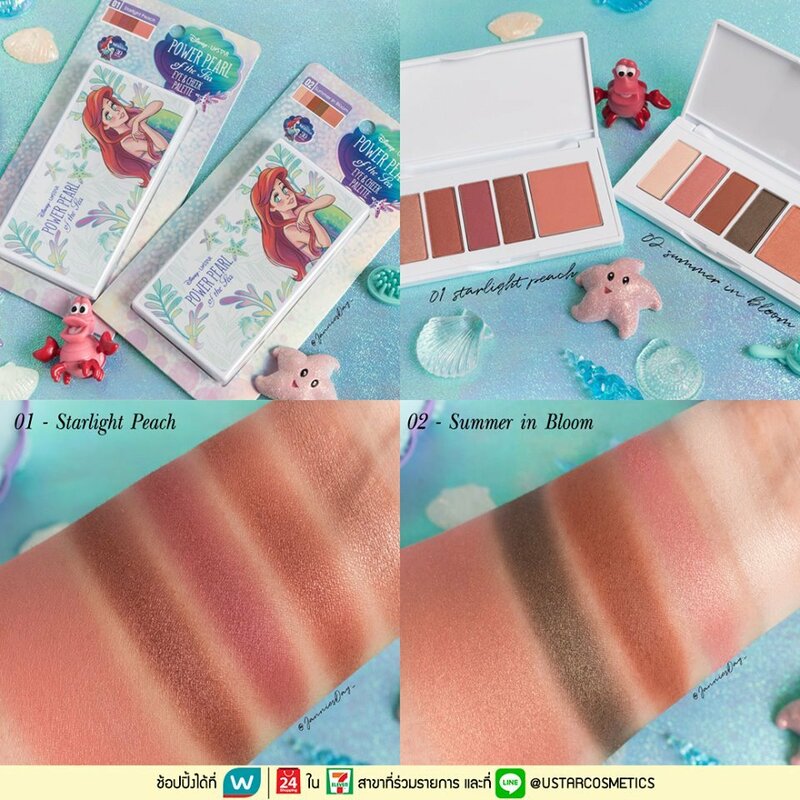 Both palettes are decently pigmented and are wearable shades that we can use from day to night. 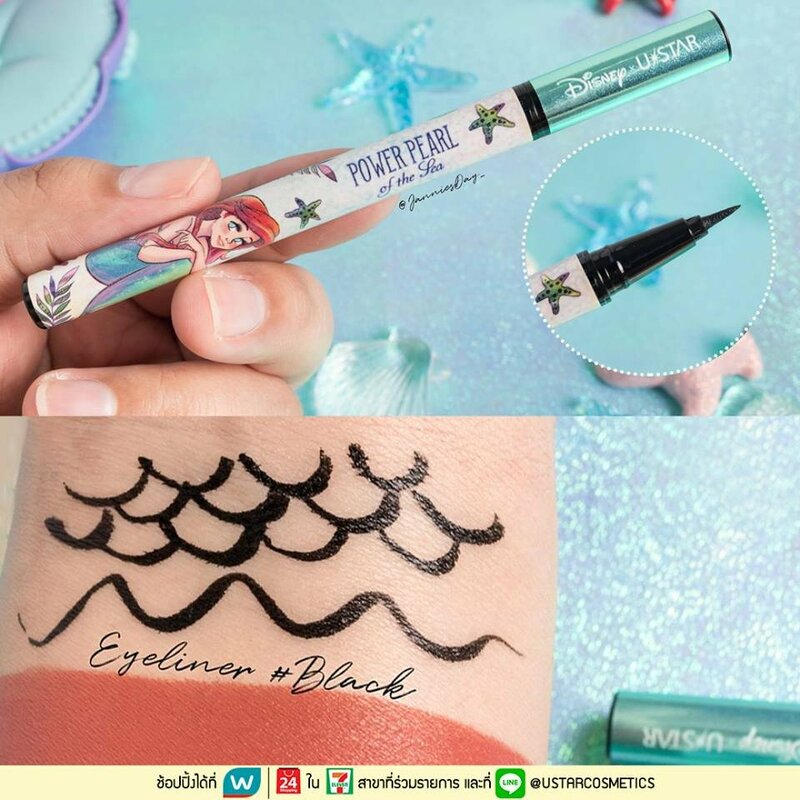 This liquid eyeliner comes with a sharp, fine tip that can give you the perfect wing or cat eye. 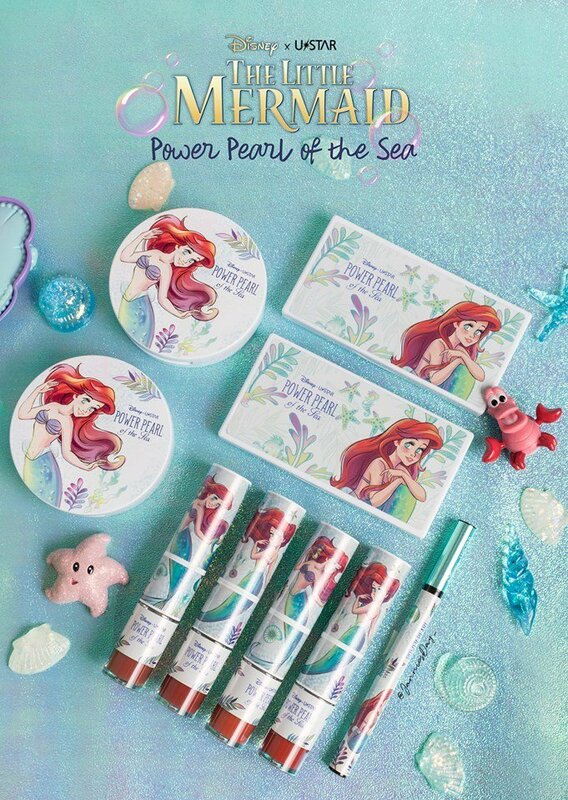 The limited edition Little Mermaid collection is now available at major Watsons stores in Thailand while stocks last. So do take note if you are heading there soon! 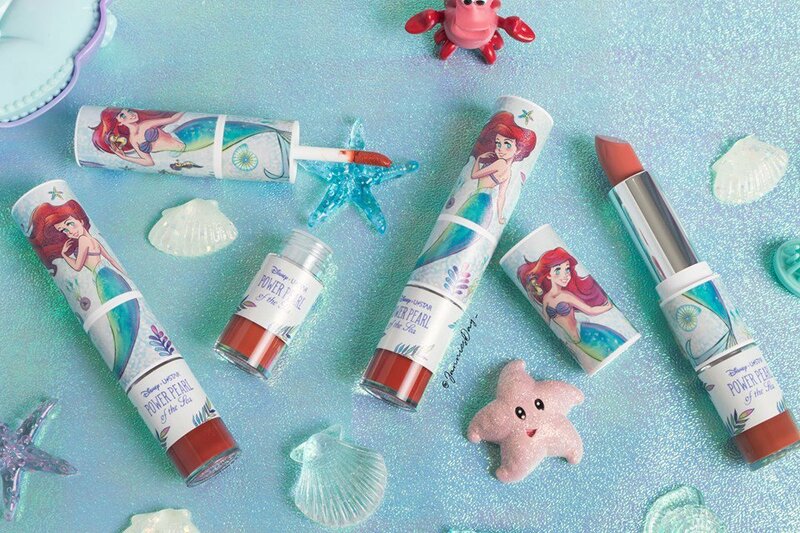 Know an Ariel fan who would love this Little Mermaid-themed beauty collection? Spread the love and share this post with them!